As I look out my apartment window and see the tops of the trees on a beautiful sunny day my mind wanders off as it typically does when I’m lacking motivation for schoolwork. However, the view is deceiving. Though there’s a huge open field, what looks to be an endless forest of trees that houses an array of wild animals, I’m quickly reminded that I’m stuck in the middle of Baton Rouge. Just out of view to the left of the window is an abandoned movie theater that has now become a canvas for graffiti artists. Just beyond that is a small shopping center with a Wal-Mart, Sam’s Club, Lowes, a Petsmart that Alex and I frequent with our dog Rufus and other various shops, restaurants and hotels. It seems impossible to escape the concrete jungle. I reminisce about childhood memories back in Houston, yet another place full of hustle and bustle, and remember all the “adventures” I had in my backyard. It was all imagination. We had an western fort my dad built one summer so there were many a time travels back to the Wild West with duels, chasing down bank robbers, horse back riding and Indian side kicks like Tonto. Any lone ranger fans? No? I guess I just loved the old west more than the average kid. There’d also be the days where I’d go far beyond that one light pole I wasn’t supposed to pass when riding my bike. 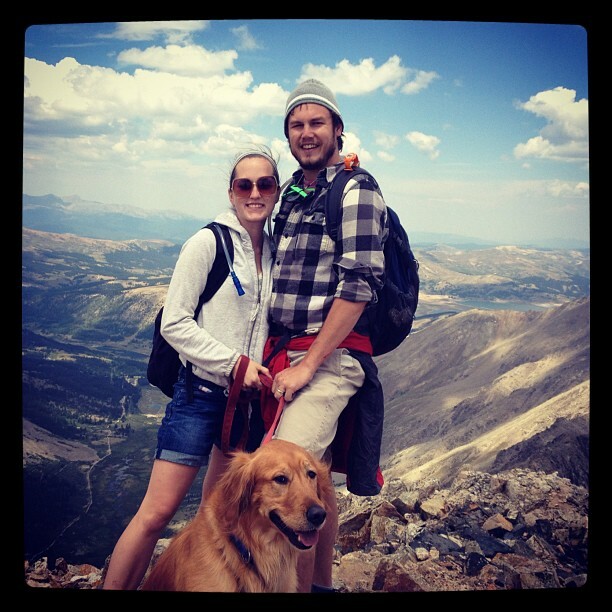 The best adventures though were on vacation in Colorado. There I wasn’t restricted. I was free. I didn’t have to imagine being in the Wild West or not being able to pass that light pole down the street. My dad’s father had a vacation home up on Mount Princeton, along with other various great uncles and aunts who had vacation homes as well. I guess my parents felt some sort of security with knowing so many people in an area they didn’t feel a need to worry where us kids would go. No, there we could venture off down the way and follow the river to the small lake, go run the trails around the house, explore up the mountain to a park with the old rusted slide. But as I write this sitting on my couch in the city of Baton Rouge, there isn’t much adventure. No fort to imagine being in the west, no mountains to explore. But maybe there still is adventure, just not the kind that I’m used to. Maybe now the adventure is in building new relationships with coworkers, building upon those established relationships with friends, living out the adventure that is marriage, and most importantly my relationship with Christ. These next few months no matter how seemingly long they may seem, I feel its important to work on finding adventures in what doesn’t seem adventurous. It’s been tough to come to this point because of the little kid adventurer inside of me, but I know that it is going to be so amazing to see how these relationships will prepare me for the next great adventure of life in India. Without those relationships, I know I will fail. I know I will tire out and I know I’ll want to call it quits but having that community to spur me on when I doubt myself will make it all worth it. Note: I actually wrote this blog post almost 2 months ago and just never posted it. This week has been an amazing example of both the Lord’s faithfulness and providence in our lives. From really seeing fundraising get started, to getting several very well timed emails, it was a cool week and this little blog post seemed appropriate. I’ve never thought of myself as worrier. My personality just really doesn’t lend itself to worrying very much. My thought process has always been more of a “Worrying doesn’t fix anything.” I’m a doer. A fixer. Proactive. And honestly, a lot of times i’ve considered worrying a weakness. So when I was super convicted about my worrying about our finances a couple of weeks ago, I was ashamed. And perplexed. But most of all, thankful. Thankful that the Lord was bringing something to my attention that if i’m really honest, has been a focal point for the past 10 months. So i stopped worrying. And i know that sounds so simple. But for someone who has never been a chronic worrier, it wasn’t that hard. I just stopped. And i put all of my trust in the Lord. Not just my trust for certain things. ALL of my trust. I fully trusted him with our finances even though mathematically, something wouldn’t get paid this month. And he provided. And provided. And provided. In huge ways. And let me say, He hasn’t not provided for the last 10 months, He has. And it’s been a beautiful picture of His great providence in our lives. But this has been above & beyond. And it just all came together so beautifully that only the Lord could have orchestrated. And i’m reminded that He has given me every reason to trust in Him. Sometimes I just choose not to. But when I do, i am reminded that He is making all things new. He is showing us who He is all the time. He is showing us that He is Jehovah-Jireh, God, our great Provider. And this beautiful life lesson about what happens when you stop worrying and just abide and trust in the Creator of the Universe… well it could not have come at a better time. Now i’m blessed to walk into raising our support for the next two years fully trusting in the Lord and whole heartedly believing in His providence. And of course, He knows that I needed that. It really hit Preston and I this week… we have about 4(ish) months left in the states! I know, you’re probably thinking, “duh.” But let me explain. We started praying towards moving to India in 2013 on February 6, 2012. We decided that we absolutely felt called to India in 2013 around this time last year. At first, we thought we’d move in March when our lease was up. Then Preston’s little sister got engaged and is getting married next month(!!! ), so we pushed it back to May. Well, then LSU decided Preston needed to take an extra semester of classes, so we thought, June would probably be good to give him a little bit of a break after graduating. And that way we could see my oldest brother graduate from high school. And now, the staff is bringing us over to india, so we’ll be leaving around July or August! So with India being something that we’ve been prayerfully preparing for, talking about with close friends and practically preparing for as well; it’s hard to wrap our heads around the fact that it’s. almost. here. and the fact that we have 4(ish) months left here makes me both super excited and anxious at the same time. there’s so much to do, so many people to love on, so many golden retriever hugs that i need to cram into what seems like a short amount of time. and we’ve been so busy. and part of me loves that. part of me wants to “stop the glorification of busy” as one of my best friends posted on instagram this week. part of me knows that it’s the nature of the “transition” beast. and then i take a look at my calendar and see all the BIG events we have in the next 4(ish) months. We just got back from family vacation with the Kicker side (and celebrated our FIRST wedding anniversary). 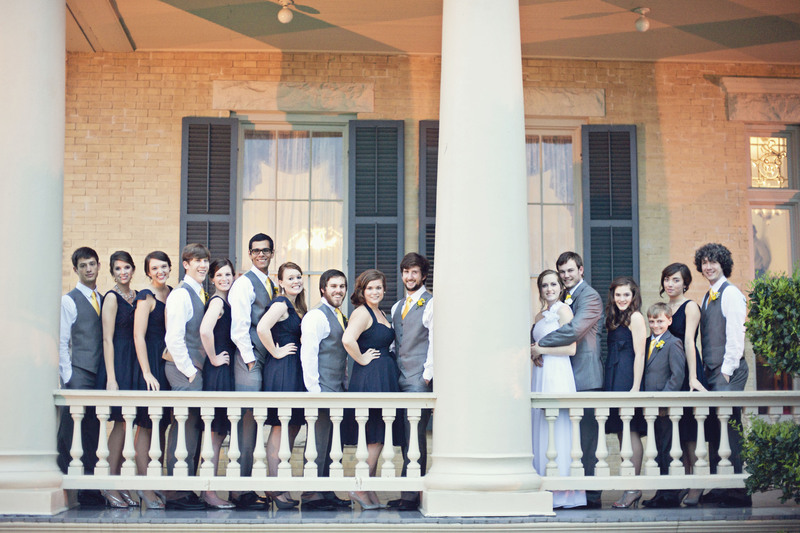 Next month, we’ll travel to Dallas to be apart of Preston’s sister’s wedding. In May, Preston graduates from LSU! Which is a huge milestone and accomplishment. A week later, my brother, Jeb will graduate from high school. In June, we’re taking a trip to Chicago, just the two of us. In July, my parents are taking us to San Francisco as an anniversary present! And we’ll have to pack up all of our worldly belongings at some point and move them to Houston. and in between all of that, we have jobs to do, school work to accomplish, hindi to learn, bracelets to sell, and support to raise. but more importantly than that, we have family and friends who are family to love on and to spend time with. we have a marriage to continue to strengthen. we have a golden retriever to play with. and we have a Savior to rest in. my hope and prayer during this whole time is that we’ll be more focused on following Jesus and making the most of every single moment than we will be on the tasks that we have to accomplish. i want to remember everything about these last 4(ish) months in the states. Because when we’re in India for two years, the time we spent with our family & friends is going to be far more important than how well Preston did in ISDS. 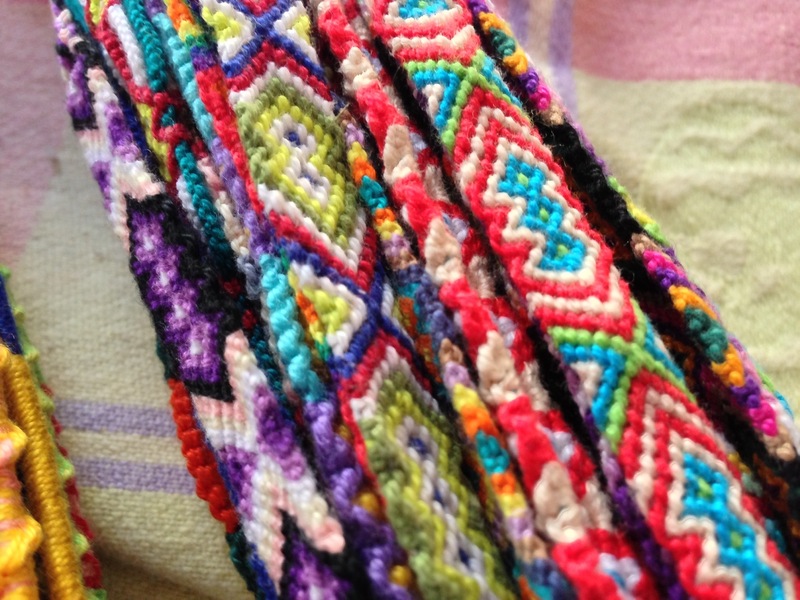 Update 3/21: We now also have bookmarks and a huge replenishment of bracelets! Bookmarks are pictured below and are $8 a piece. Text/email/Facebook/tweet me if you’re interested. 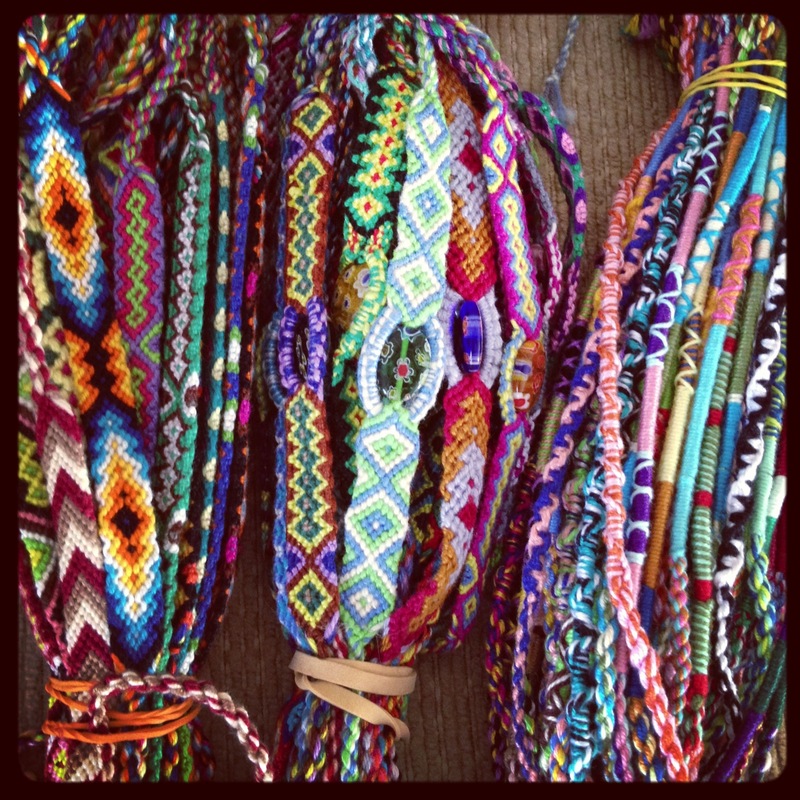 Preston and I are now selling these awesome bracelets to supplement our fundraising for our move to India! 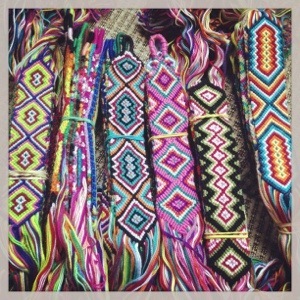 These bracelets were made by at risk families in the Philippines and half of the profits go directly to them! Threads of Hope is a great organization that we are truly blessed to be partnered with. We have $4,000 to raise to get us over to India and $2,200 a month to raise for while we are over there! Please let us know if you are interested in purchasing bracelets or making a one-time or monthly donation! We also hope that each bracelet serves as a reminder to pray for us as we are over there. We are so grateful for all of your support!